UPDATE JUNE 27: Officials tell us nearly $19,000,000 is committed to help about 1007 home buyers since May 1, 2018 with down payments of up to $20,000. Nevada Affordable Housing Assistance Corporation says they're averaging about 32 new home buyers per day. With just over half of the money allocated for the Hope Bring You Home Down Payment Assistant Program distributed in two months, they are encouraging interested potential home buyers to move quickly before funds run out. UPDATE JUNE 8: Officials tell us they're getting out more money to more people and they're doing it faster. According to the Nevada Affordable Housing Assistance Corporation, the Hope Bring You Home Down Payment Assistance Program helped in May over 400 families with down payment assistance of up to $20,000. That totals about $7,700,000. Another $2,700,000 is committed so far in June. While officials said it took four to six months for processing in past years, people now seeking help with down payments can get an answer as soon as they're approved by a lender while those hoping to keep their homes are processed on average in 2 to 3 weeks if you qualify. 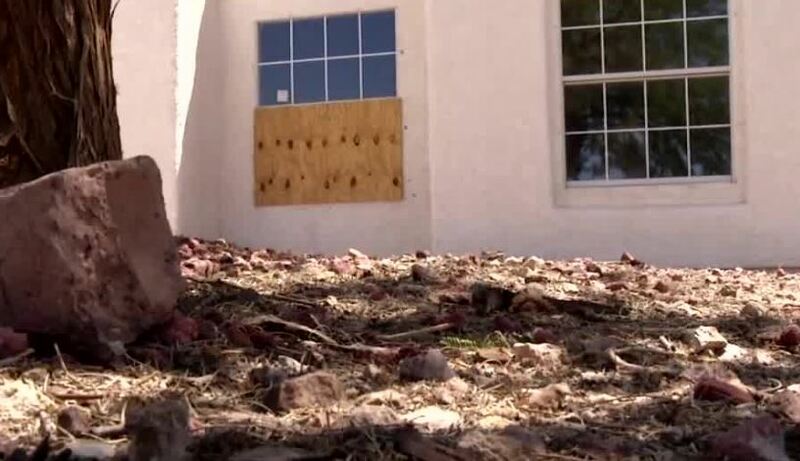 LAS VEGAS (KTNV) -- Some good news tonight for struggling home buyers from an agency previously found to be squandering federal funds and failing to help. Who can qualify for a new program and how you can get your hands on some quick cash. Hope Brings You Home. That's the name of the new down payment assistance program available in much of Southern Nevada. It focuses on zip codes still considered distressed from the housing crisis. This is a chance for those who previously couldn't afford it to become a homeowner. Buyers can qualify for down payment assistance equal to ten percent of the purchase price up to $20,000. As we first reported in 2016, a scathing federal audit found widespread waste and abuse of those funds within NAHAC. The agency has repeatedly been identified as one of the most inefficient in the federal relief program -- keeping as much money as it gives out and only helping a fraction of homeowners in need. NAHAC President Verise Campbell hopes the new program will be a turning point. "By us being able to provide 10 percent, up to $20,000 as the down payment, then that will put our homeowners, our residents back in the position to be homeowners. So we're looking to stabilize neighborhoods." The program should roll out starting May 1. It's first come, first served and will operate until its $36 million in funds are distributed. Click here to see the zip codes that qualify. To get started, you will need to contact a participating lender. Click here for the program website and then click on “Find a Lender” at the bottom of the page. Select a lender to start the process.